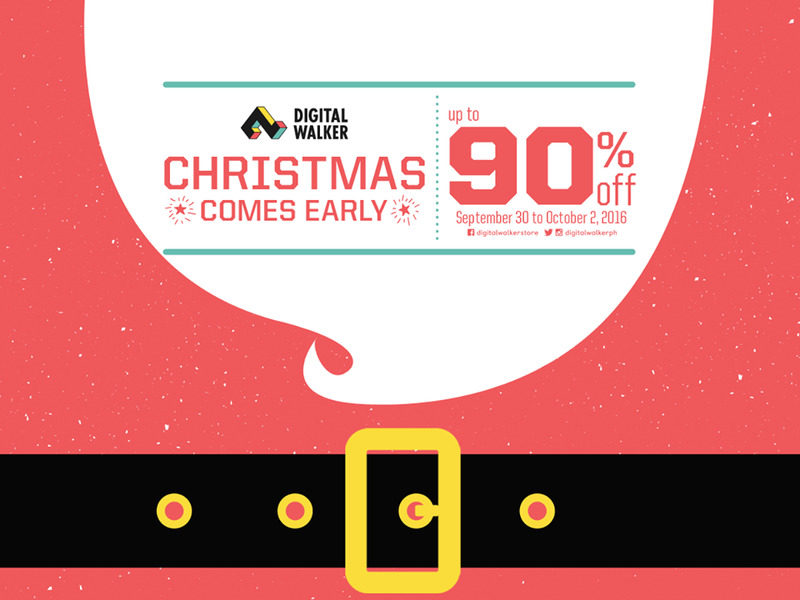 Up to 90% off at the Digital Walker Christmas Comes Early Sale!!! It's time to shop shop shop!!! 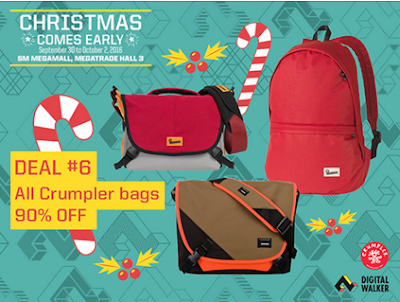 It's Digital Walker's Christmas Comes Early Sale with up to 90% off on your favorite tech gadgets and accessories! 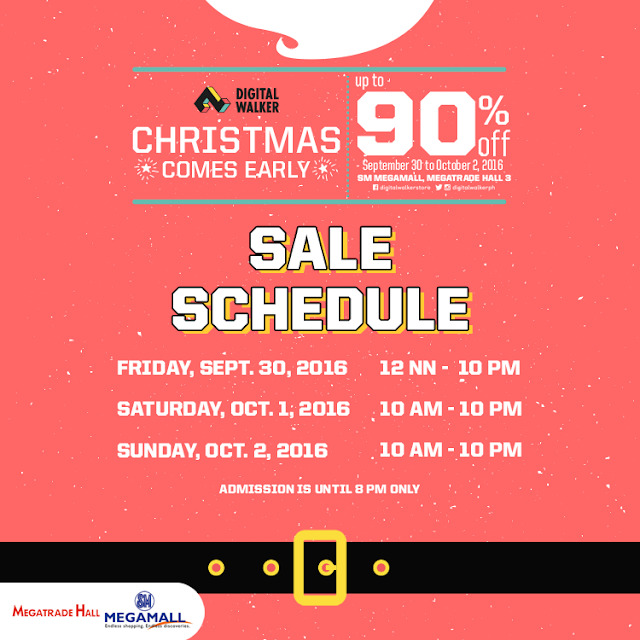 Happening on September 30 to October 2, be ready to have a blast shopping at SM Megamall - Megatrade Hall 3. With greats deals from 30%, 50%, 70% and 90% off on great selections! 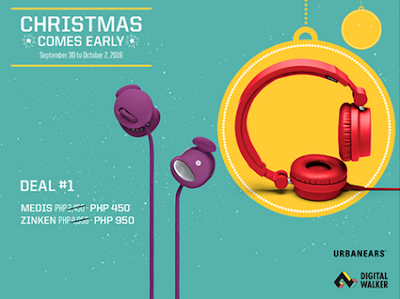 Get specials deals with Buy 1 Take 1, and special promotions such as the 12 Deals of Christmas. Get iPhones cases at P50 - P100 only! Get Earphones for as low as P295! No I'm not joking! 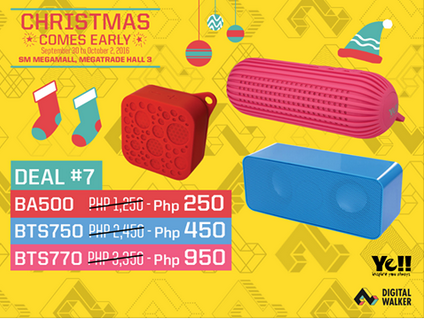 Be sure to be there early, cause you really don't want to miss out on this sale! Best of all there is no entrance fee! See you there!!! 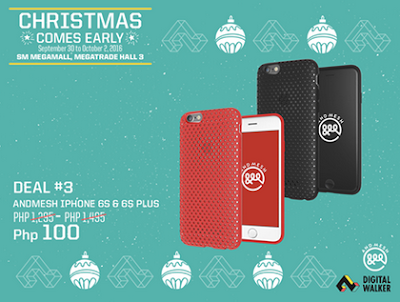 Mark those dates! 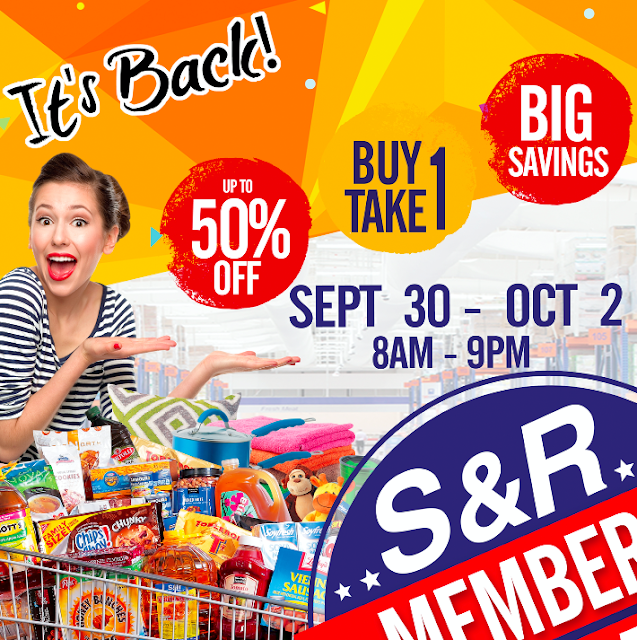 Avail of special offers of up to 50% off on your favorite shopping goods! Buy 1 Take 1 offers and big big savings on everything at your favorite S&R store nationwide! 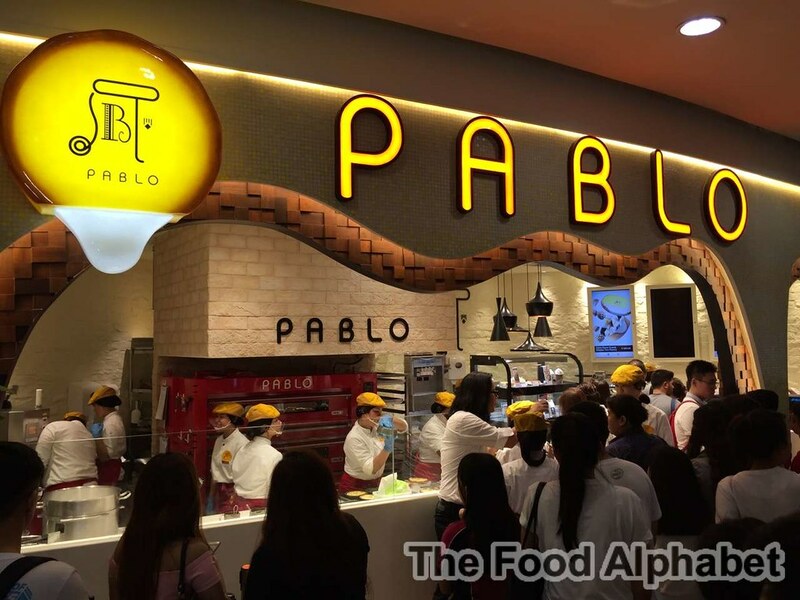 Pablo, Osaka's world famous cheese tart opens first store in Manila! 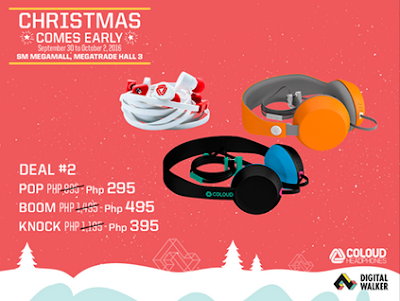 After months and months of waiting, Pablo finally opens shop in Manila, right in the center of the bustling metro, in Robinsons Place Manila! I have been hearing and chancing upon Pablo, as my friends who have gone to Japan have been so raving about, and I am just so happy, we don't have to travel 4 hours via air to Japan to enjoy Pablo's Cheese Tart. 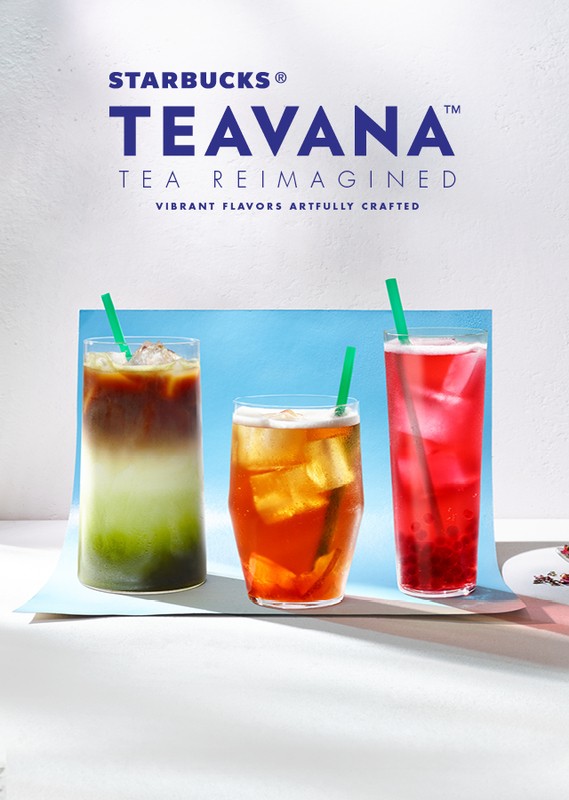 Starbucks Teavana : Tea Reimagined + New Starbucks Cards to collect! Starbucks is my go to place for coffee fix, from their hot and aromatic macchiatos, to their cool and refreshing blended beverages in Frappuccinos, but now Starbucks goes much further in giving you the complete beverage experience. Just recently Starbucks Coffee Company rolls out Starbucks Teavana. Unveiling a new and modern tea experience with Starbucks Teavana Handcrafted beverages and Full Leaf Tea Sachets in Asia, further strengthening Starbucks commitment to transform the rapidly growing $125 billion global tea category. Crystal Jade, an established Singapore Michelin Star-awarded food and beverage group, is celebrating their 25th anniversary this 2016, with a prestigious Michelin One Star Award given to one of its reputable brands, Crystal Jade Golden Palace. Truly a remarkable feat with the celebrated institution's dedication and prowess in bringing quality and authentic Chinese cuisines to customers all over the world. With that comes a celebration of fine dishes only Crystal Jade Dining IN can do. Staring off with Crystal Jade's Suckling Pig, as pictured above, is prepared tender so as to melt in the mouth. Every bite into the crisp skin guarantees a crackling sound you would want to do again and again, coupled with Hoisin sauce is the perfect appetizer everytime! Make room for the newest barkada favorite—the Jolly Crispy Savory BBQ Fries! Made with 100% real potatoes and sprinkled with a special blend of flavorings, the Savory BBQ fries pack a thrilling intensity with every bite. Perfect for pairing with other Jollibee treats or enjoyed on its own, the Jolly Crispy Savory BBQ Fries offer a zesty combination of sweet-smoky, with a spicy kick for a true flavorventure, only from the country’s number one fastfood brand. Fly over and set your sails to the biggest gathering this Halloween season at F1 Hotel Manila. Get spellbound as you join the magical world of pirates and pixies on October 29, 2016 (Saturday) from 10AM to 2PM at the Infinity Ballroom. 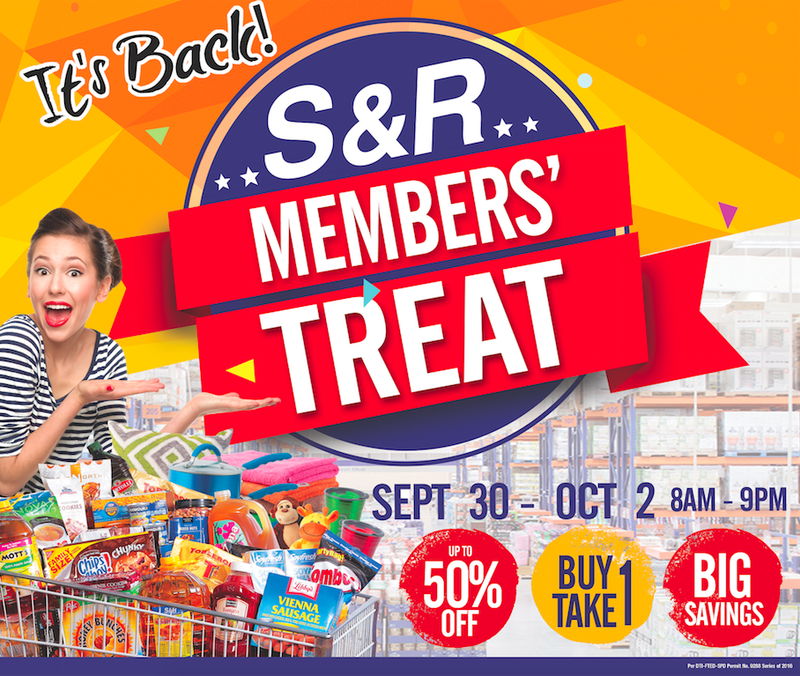 Exciting activities and thrilling treats awaits the whole family like Balloon Twisting, Photo Booth, Donut Decorating, Games, Restaurant Discounts and Access to trick and treat stations. 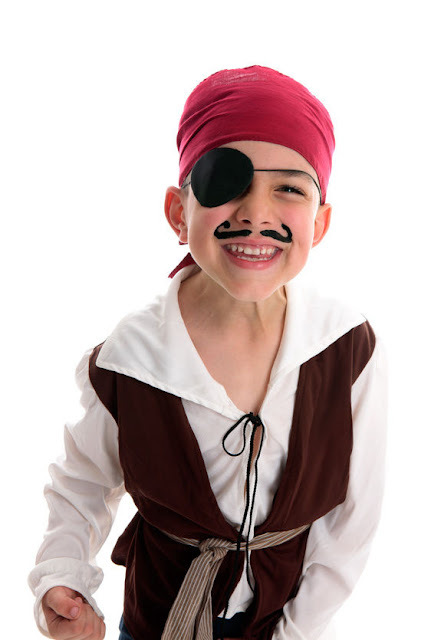 Cover yourselves with pixie dust and wear your finest sail gear for the ultimate Halloween experience and get a chance to win an overnight stay. 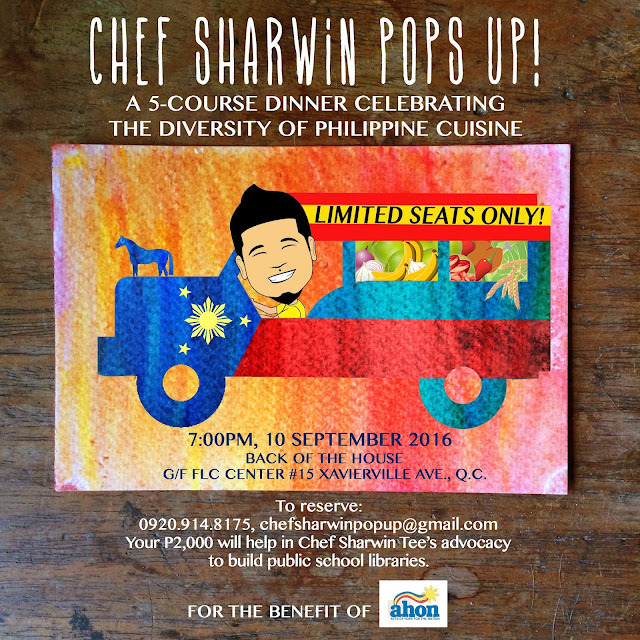 Following his highly successful benefit pop-up events in the US, curious chef, Sharwin Tee is cooking for a cause in Manila! Mark your calendars as he presents a 5-course dinner on September 10 at 7:00pm with an exciting menu that will celebrate the diversity of Philippine cuisine. The benefit dinner will consist of indigenous and modern Filipino dishes as well as Chinese, Spanish, and American – all having contributed to multiple foreign cultures and influences to the evolution of what Filipino food has become. 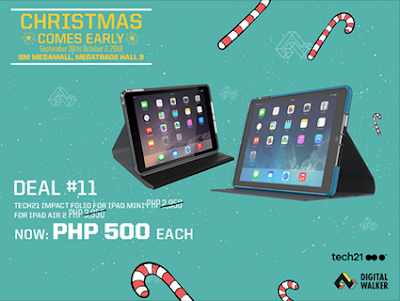 Citi credit cards is giving its cardholders delectable reasons to visit leading business hotel Crowne Plaza Ortigas. 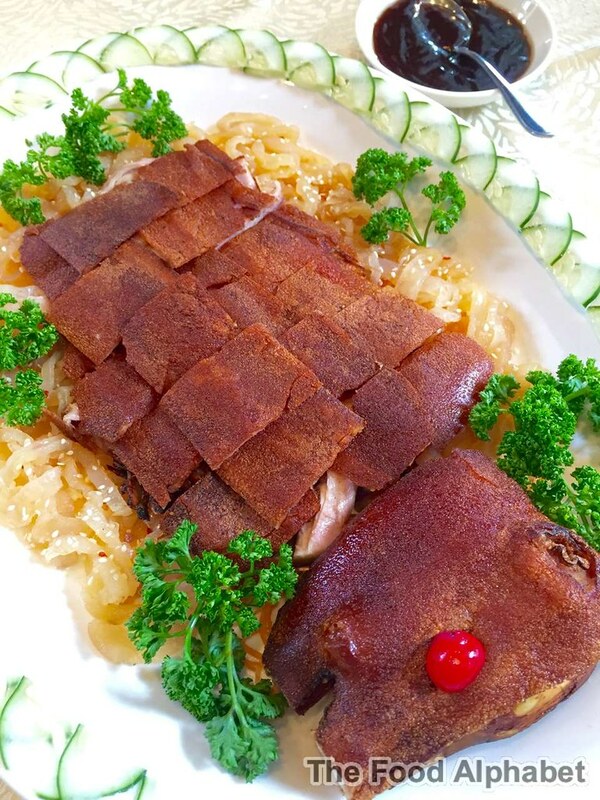 Savor the many tastes and rich flavors of Chinese cuisine at Xin Tian Di, offering authentic dishes prepared by master chefs. 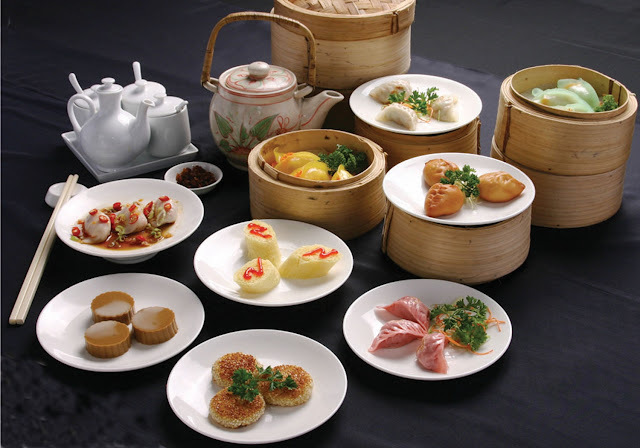 For Citi cardholders who are dimsum lovers, get 50% off at Xin Tian Di Dimsum Buffet, valid everyday for lunch with 4 to 10 diners. For set menus, indulge in 50% off for lunch and dinner daily, with 10 diners per table, from now until September 30, 2016. 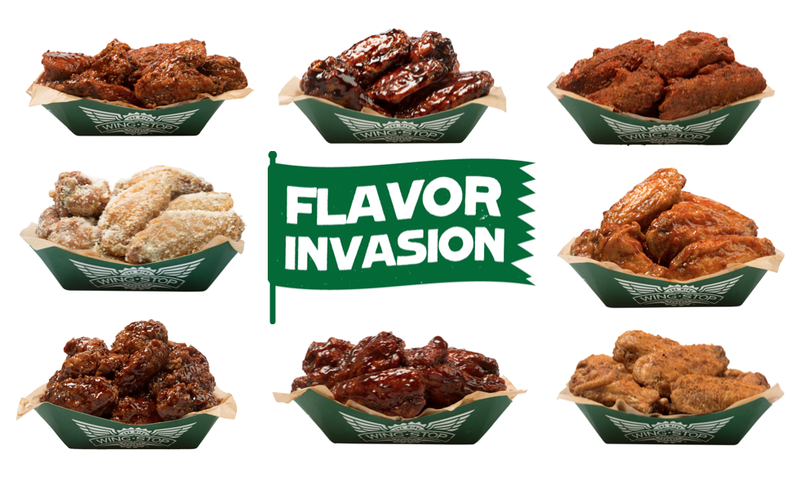 On a mission to serve flavor to the world, Wingstop is ready to invade your senses with their 14 unique flavors. Whether you enjoy a spicy heat, crave for that extra zing, or hunger for all that's rich and smoky, Wingstop is sure to have a flavor that will suit your taste buds.